Carissa has been dancing for nearly 25 years. In that time, she has performed and choreographed at various dance centers and dance companies in the tri-state area. She is trained in many styles of dance, including jazz, hip hop, ballet and modern. 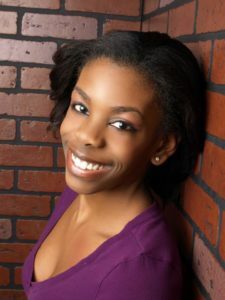 Miss Carissa began teaching at The Dance Connection in 2016. She teaches beginner and intermediate jazz and hip-hop, and choreographs for the Dancelete Competition Team. Her choreography has won choreography awards, multiple overall high score awards, as well as special awards and title winners at many different competitions. Teaching at The Dance Connection has enabled Miss Carissa’s dedication and passion to come together, where she creates a welcoming and exciting environment for her students to effectively learn and grow. Miss Carissa possess a true love of learning and believes that growth and development can be achieved at the highest rate possible when exposed to new ideas and techniques. Carissa was an active member of Dance New Jersey for several years and continues to be involved in the dance world, performing in regional showcase performances throughout the area. A native of Somerset County, Miss Carissa studied Elementary Education and Dance at Montclair State University. Here, she was a member of the dance team and afforded many opportunities to choreograph and perform. At The Dance Connection, Miss Carissa is able to combine her love of teaching children and passion for dance, which she says, “is a dream come true”. She brings with her a diverse knowledge of dance and an innate ability to cultivate an environment rich in learning, while having fun. She truly loves helping others and is making it her life’s work to continue creating positive relationships, instilling great morals, and teaching life skills.